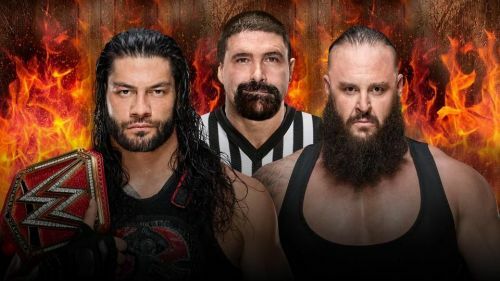 What role will Foley play in the Universal Championship match? We all knew that Mick Foley was scheduled to be on RAW this week. What we did not know is exactly what role he would play in the events that unfolded. Mick Foley cut a passionate promo with Elias in the middle of the ring. And then he announced that he would be the special guest referee in the Universal Championship match this weekend. Now, this is a massive development. 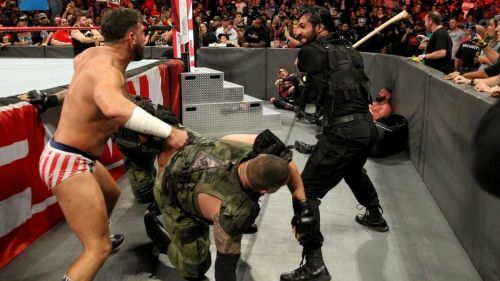 This essentially means that there will be some interesting role that Foley plays in the outcome of the momentous match. Let's explore a few possibilities and ponder upon what it could possibly be. Leave a comment and let me know how you think this match will go down. Why has Mick Foley even been added to this potential career ender? I can only think of these five interesting possibilities. A Hell in a Cell is designed to keep the competitors in and the opponents out. However, we've seen time and again, how this is almost never the case at all. Kane broke the door open in the very first ever Hell in a Cell, making a debut that none of us will ever forget. An ordinary official would not be able to withstand the onslaught of the heels, if they decided to interfere in the match, this weekend. But someone like Mick Foley could certainly fight back the heels and keep them from interfering during the said contest. Maybe Mr. Socko could come out and Foley could shove it down some heel's throat! Foley looks like he's in the best shape of his life, right now. I'm sure he wouldn't be opposed to throwing a few punches, if the situation so demands it!